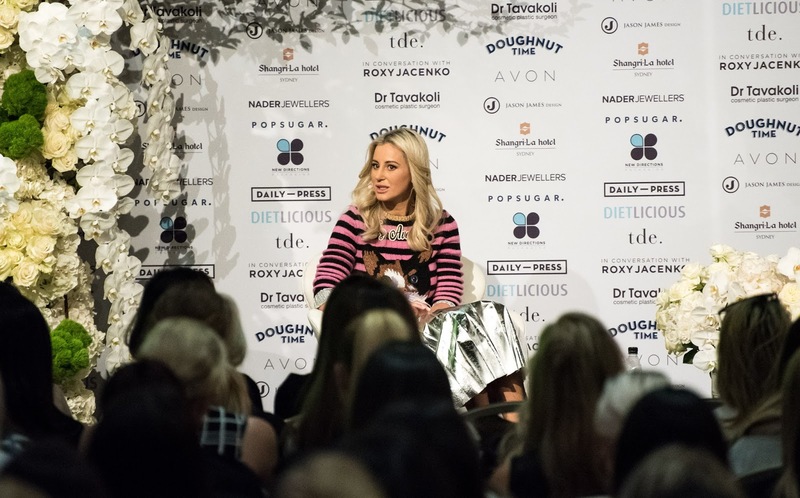 Roxy Jacenko is a PR powerhouse - there's no denying that. She has become an ubiquitous presence when it comes to brand and talent management (with her companies, Sweaty Betty and The Ministry Of Talent, respectively) and has become an endearing character as she's laid bare her life, with all its triumphs and tribulations. In doing so, Roxy has developed a vast and deeply loyal fan base, but has often conceded opinions on her can be divisive, and the way she is perceived can fall into two categories: fiercely loved, and, well... not. Thing is, Roxy seems to have little time to cultivate any negativity - she has way too much going on to entertain the opinion of 'haters'. Indeed, those who want to emulate her success, are curious about who she is, and why she is so successful can get an insider's view during her hugely successful ‘In Conversation’ seminars. And now, it's back for 2017! The previous seminars Roxy has run, in 2016, and 2015, were completely sold out events. To learn the tips and tricks and trade secrets in building your brand, and integrating that with social media and PR. The third highly acclaimed ‘In Conversation’ seminar is on Friday 28 April, 2017 at The Westin, Sydney. Roxy - who is founder and director of Sweaty Betty, one of Australia’s leading PR agencies - will share her insights on using PR and social media to build both personal and business brands. Since founding Sweaty Betty at the age of 24 (Josie's Juice, before it was Josie's Juice and just Josie Gagliano, editor of several magazines and fellow publicist, has known Roxy since her pre-Sweaty Betty days, and watched the rise of 'Roxy' the brand), Roxy has grown her business into a multi-million dollar business empire representing some of the world's leading brands in Australia, for the past 13 years. Seeing an unfilled niche as she's adept at doing, Roxy then founded The Ministry of Talent in 2012, Australia’s first management agency solely dedicated to digital influencers. Becoming a mamma to adorable kids Pixie and Hunter, she then established ‘Pixie's Bows’ when she was "unable to find hair bows" for her then toddler Pixie. This simple idea - my daughter Estella loves hers - has now grown into a global brand, sought after by Aussie mums and Hollywood A-listers as a cute accessory to adorn their kids' hair with. After one of her biggest years personally (do a Google search and you will see - there's no denying her relationship and her very serious health concerns have filled a gazillion column inches, although thankfully her wellbeing is on the mend) and professionally, Roxy has once again proven her mettle by continuing to grow her business and overcome each hurdle thrown her way. During the two hour seminar, Roxy will discuss an array of PR and marketing topics covering everything from digital media, to how to make your way in business, be it as a start-up or an established operation. Joining Roxy on stage to ask hard hitting questions will be Australian media personality and television presenter Sally Obermeder, another Josie's Juice fave. 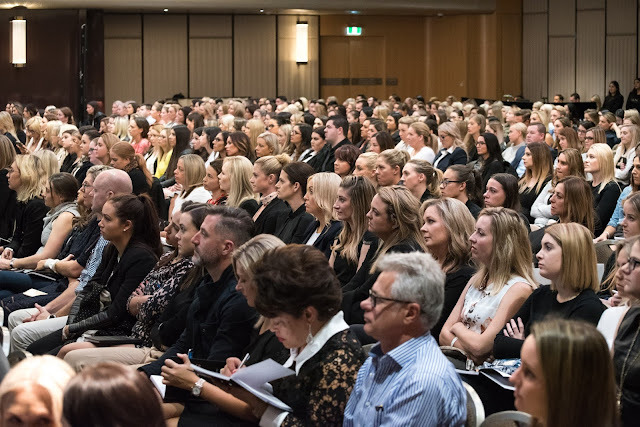 So, if you're wondering who Roxy is and how she got to where she has, ‘In Conversation with Roxy Jacenko’ is for you. Book now... only a few days to go. It's happening this Friday and final and limited tickets are available. GO HERE TO BOOK and READ MORE. Oh, wait... the best until last. The famous gift bag is packed with goodies from some of Australia’s favourite brands - and it's valued at over $500 - yep, 500 bucks! THIS ‘IN CONVERSATION’ WORKSHOP IS IDEAL FOR ANYONE - graduate, PR pro wanting to brush up on skills, or those keen on building their brand, and an interest in growing their brand's PR and social media.